The Arcadia 3+3 path to the Doctor of Physical Therapy begins with three years as a Biology major, meeting all undergraduate prerequisites for the DPT degree plus fulfilling all liberal arts core requirements in the first three years. Even with the rigorous requirements of the Pre-Physical Therapy program, students are encouraged to study abroad while fulfilling the biology major requirements. By the numbers: 60% overall acceptance rate; SAT Mid-ranges: CR 500-600, M 500-580; ACT Mid-range: 22-27. Acceptance data for Physical Therapy 3+3 candidates vary. 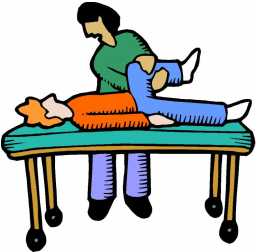 Several undergraduate majors will provide the undergraduate prerequisite courses for the Doctor of Physical Therapy degree. At Marquette, the most popular pre-PT paths are Exercise Science and Athletic Training. Admission to the professional program (DPT) is guaranteed as long as students maintain the minimum GPA required, must have 80 hours of related professional volunteer service, and will be able to finish the Bachelor’s degree requirements within the first five years of the program. By the numbers: 57% overall acceptance rate; SAT Mid-ranges: CR 520-630, M 550-650; ACT Mid-range: 25-29. Acceptance data for Physical Therapy 3+3 candidates vary. Human Anatomy course work is learned in the cadaver lab in dissection teams of four or five students. Advanced study possibilities in diverse including Aquatic Rehabilitation, Industrial and Sports Physical Therapy, Orthopedics, Pediatrics, Dissection in Neuroanatomy and Pathological Gait. By the numbers: 76% overall admission rate; SAT Mid-ranges: CR 460-570, M 470-590, ACT Mid-range: 20-25. Acceptance data for Physical Therapy 3+3 candidates vary. If chosen for the direct-entry path to the Doctor of Physical Therapy degree, students will be guaranteed a spot in the DPT program as long as minimum requirements are met. DPT students run the Ace CARE clinic at the university, providing physical therapy services for uninsured clients from the surrounding communities. By the numbers: 84% overall acceptance rate; SAT Mid-ranges: CR 490-600, M 500-620; ACT Mid-range: 23-29. Minimum scores to be considered for the direct-entry DPT program: minimum 27 on the ACT; 1200 on SAT Critical Reading and Math (minimum 500 on each section). High schools seniors who meet the criteria for direct entry will major in Biology, completing all core requirements and DPT prerequisites in the first three years of the program. Numerous opportunities exist for Pre-PT and DPT students to assist with faculty research. By the numbers: 77% acceptance rate; SAT Mid-ranges: CR 440-570, M 480-580; ACT Mid-range: 20-25. Acceptance data for Physical Therapy 3+3 candidates vary. Other colleges and universities that offer a direct-entry 3+3 physical therapy path include Boston University (MA), Bradley University (IL), Daemen College (NY), Duquesne University (PA), Ithaca College (NY), Northeastern University (MA), LaSalle University (PA), Maryville University (MO), Quinnipiac University (CT), Saint Louis University (MO), Seton Hall University (NJ), University of Findlay (OH), University of Hartford (CT), University of Indianapolis (IN), University of the Sciences (PA), Utica College (NY), Widener University (PA). A complete list of accredited Physical Therapy programs can be found on the website of the American Physical Therapy Association (www.apta.org).